My name is Eazy and I was born premature on Ngamba in 2015. My mother is Afrika. I was also severely injured so had to be raised by human caregivers for the first year of my life and got the nickname ‘Survivor’. 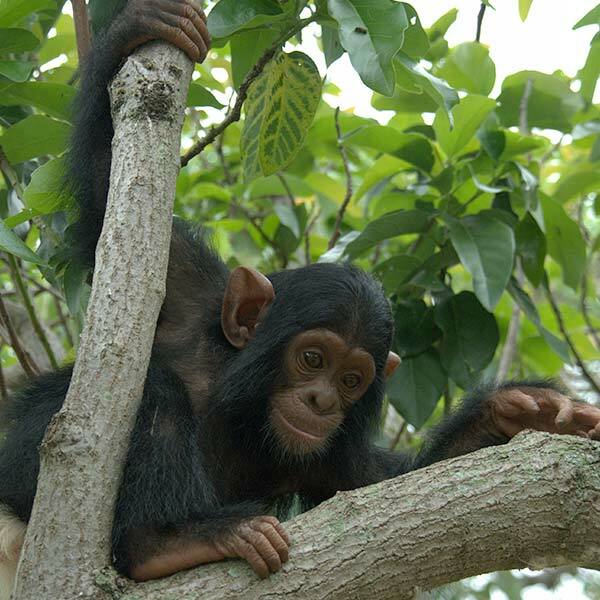 They took really good care of me and taught me to climb and feed myself so when I was slowly reintegrated back with my chimp family I did pretty good even though I was a little bit scared. Now, a bunch of the females adore and me and take care of me, carrying me on their backs and protecting me from bullies.